This is a cozy property situated in the bustling city of Kolkata. It is situated in Sector 2, Salt Lake City. The rooms provided are colorful and well-lit. The red pillows brighten the room. They contrast well with the wood of the furniture. 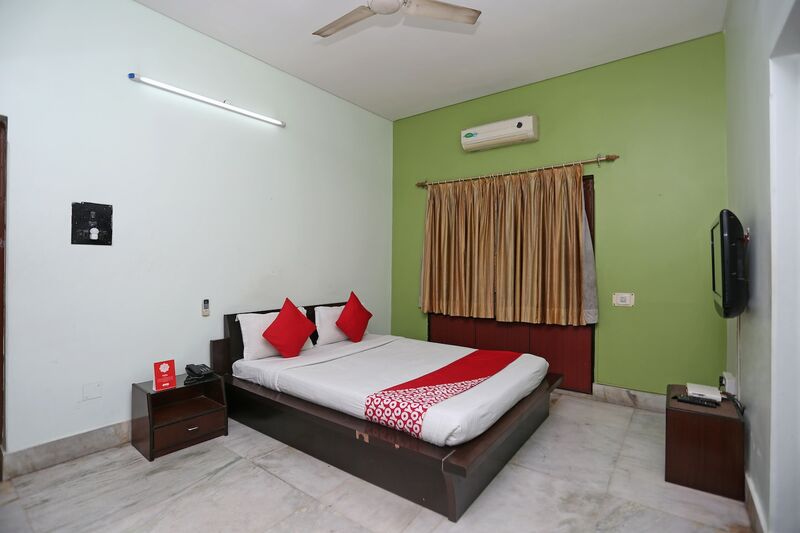 The rooms are pocket-friendly and offer the basic amenities. The place also offers laundry services for the guests. The place has plenty seating arrangements in the hall so that guests can entertain other guests. Also, there are facilities like CCTV cameras which ensure the safety of the guests, card payment option and parking space. They also provide free Wi-Fi for the guests personal use. The place is located near famous tourist spots like Central Park, Nicco Park and Nalban Bus Stop that guests can explore. Also, there are some good restaurants within walking distance of the place.